A really quick and easy seafood curry that would work well with prawns as well as lobster. Serve with pilau rice. In a large pan, heat the oil. When hot add the onions and fry for 4-5 minutes, or until deeply golden-brown. Add all the spices, garlic, chilli, fresh coconut and coconut milk. Bring to the boil, then add the tamarind paste and simmer for 3- 4 minutes. Stir through the lobster meat. 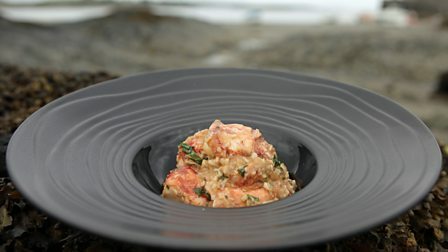 Cook until the lobster is warmed through, then sprinkle over the coriander and season to taste with salt and pepper.